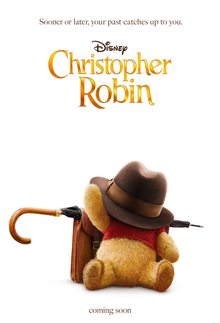 The trailer is out for Disney's live-action film Christopher Robin. I'm sure it will be very affecting and make a bazillion dollars, but I'd feel more enthusiastic about it if my first reaction wasn't: 'DEMON BEAR!' Seriously, this version of Winnie-the-Pooh is creepier than Stephen King's IT.